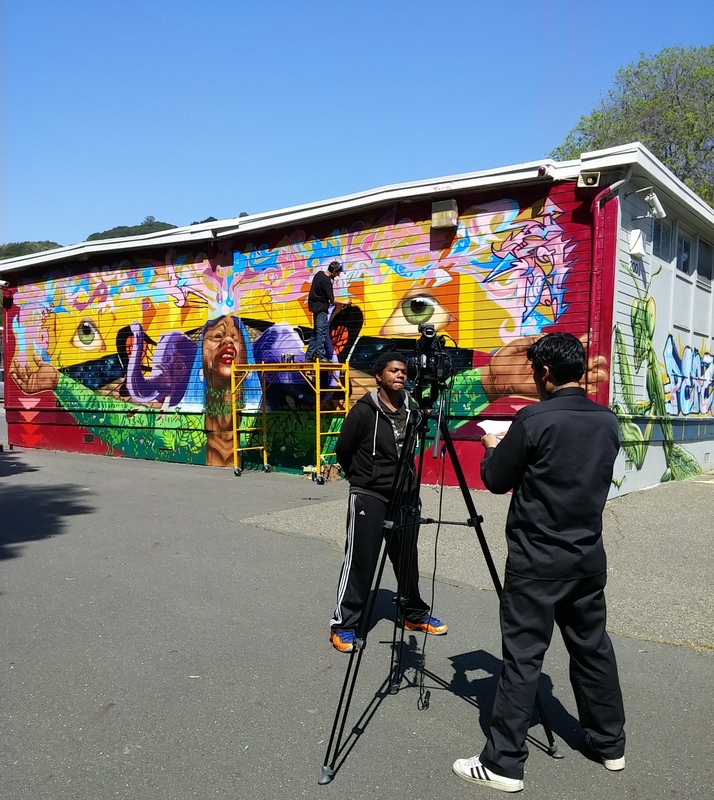 A Community Day School student is interviewed by KTOP about a local school mural. For the past 11 years, CRP has operated the ArrowSoul After-School Arts Program (ArrowSoul), a comprehensive, multi-generational visual arts academy. Classes are currently being conducted at Oakland Unity High School and Melrose Leadership Academy. 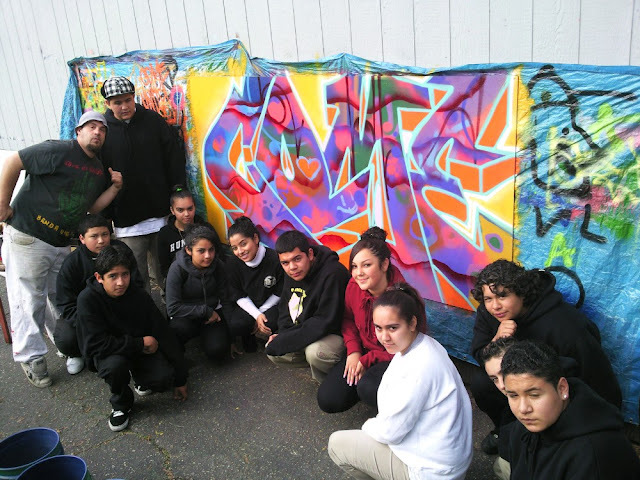 ArrowSoul programs incorporate trained professional artists facilitating experiential arts activities that engage students in the developing their own unique identity and creative approach, culminating in community murals around the school or in the surrounding neighborhood. ArrowSoul classes meet or exceed the Visual Arts Standards for California and utilizes Bloom’s Taxonomy in their evaluation. 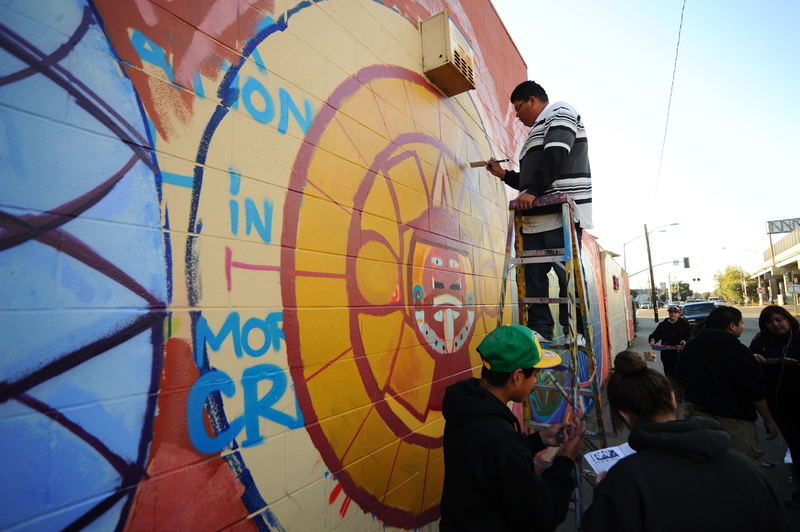 CRP facilitates experiential education through the creation of large-scale murals. CRP has refined its award-winning curriculum through the ArrowSoul After-School Program. This methodology can be adapted for a broad spectrum of educational environments. CRP has worked with youth ages kindergarten to college, including youth in continuation programs and/or on probation. CRP focuses on facilitating hands-on experiences that produces quality artwork which students can feel proud of. CRP facilitates workshops and presentations for groups of all ages and sizes. Workshops can range from ½ hour dialogues to extended multi-week intersessions. Each workshop can be tailored to address social and academic issues through art and connect to educational curriculum. Workshops can take place in a classroom, onsite projects on school walls, or within the community. CRP has led several youth employment projects that incorporate job training and other vocational skills. In addition, CRP is capable of providing webinars for groups. ArrowSoul’s youth mentorship program develops youth leadership within its high school students through supervised teaching activities at its middle school sites. High school students are given thorough training in CRP’s best teaching practices while developing their own curricula. Each class is supervised by professional adults artists. Upon completion of a minimum two years of teacher training and graduation from high school, ArrowSoul seeks to place its former students in paid after-school teaching positions. Start your child on the path to professional artistry. CRP professional artists are available for private mentorships with individuals and small groups. 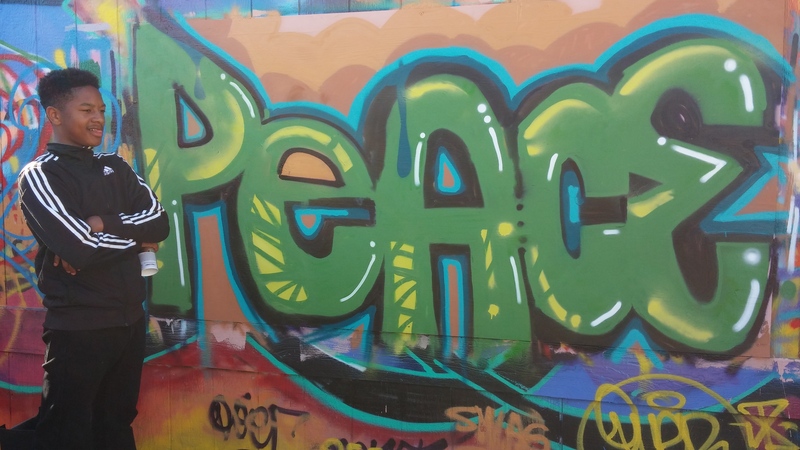 Whether you want your child to paint a wall at your home with a mentor, assist the team on a community project, or simply receive private lessons in the history and creation of aerosol art, CRP brings years of experience to the table. CRP director Desi Mundo explains mural techniques to a group of interested youth. CRP’s many years of experience in the education and youth development fields have led to the development of best practices for working with youth in and out of the classroom. 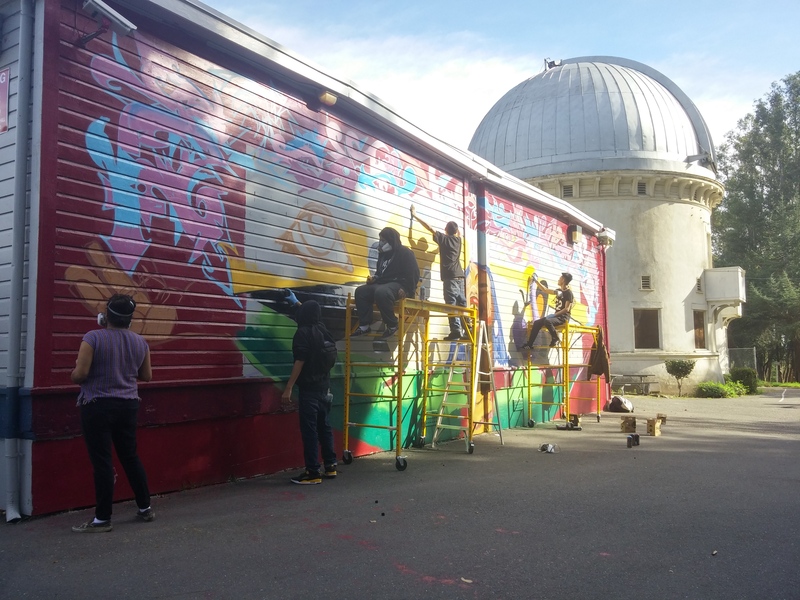 Mural workshops can facilitate educational opportunities on a broad swath of topics. CRP’s “ArrowSoul After-School Arts Program” promotes the organic, holistic and humanistic values. Aerosol writing classes promote the development of the understanding of an individual’s identity, with an emphasis on originality and finding the unique characteristics that make each of us valuable. In addition, the facilitation of creative outlets is inherently therapeutic and strengthens the child’s emotional stability and healthy development. Drawing and spray painting skills are not acquired overnight. They require determination, practice, and consistency. Working on collaborative murals builds teamwork, group trust, and work ethic. 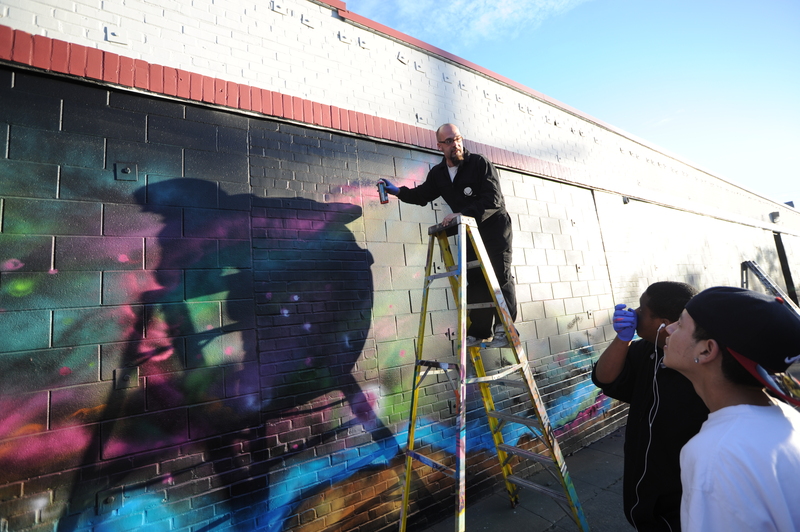 Creating public artwork develops the capacity to engage the community, forges civic pride and builds responsibility. Passing on these traditions forms patience, a deeper understanding of the practice and the ability to teach. All of the characteristics make a young person more employable. The development of artistic abilities opens up opportunities in the creative fields both within CRP as well as independently. CRP has conducted several youth employment projects in collaboration with partner organizations, Urban Tilth and Youth Spirit Artworks as well as employing 30 youth with Lao Community Development Corporation. These programs include professional development training as well as onsite skill building that develops work experience. “ArrowSoul”‘s [Link to School Programs] youth mentorship program develops youth leadership through supervised teaching activities at its middle school sites. High school students are given thorough training in CRP’s best teaching practices while developing their own curricula. Each class is supervised by professional adults artists. Upon completion of a minimum two years of teacher training and graduation from high school, “ArrowSoul” seeks to place its former students in paid teaching positions.